Shu-mei Shih's study is the first book in English to offer a comprehensive account of Chinese literary modernism from Republican China. In The Lure of the Modern, Shih argues for the contextualization of Chinese modernism in the semicolonial cultural and political formation of the time. 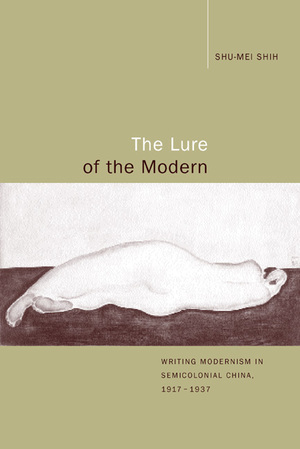 Engaging critically with theories of modernism, postcoloniality, and global and local cultural studies, Shih analyzes pivotal issues—such as psychoanalysis, decadence, Orientalism, Occidentalism, semicolonial subjectivity, cosmopolitanism, and urbanism—that were mediated by Japanese as well as Western modernisms. Shu-mei Shih is Associate Professor in East Asian Languages and Cultures, Comparative Literature, and Asian American Studies at the University of California, Los Angeles.